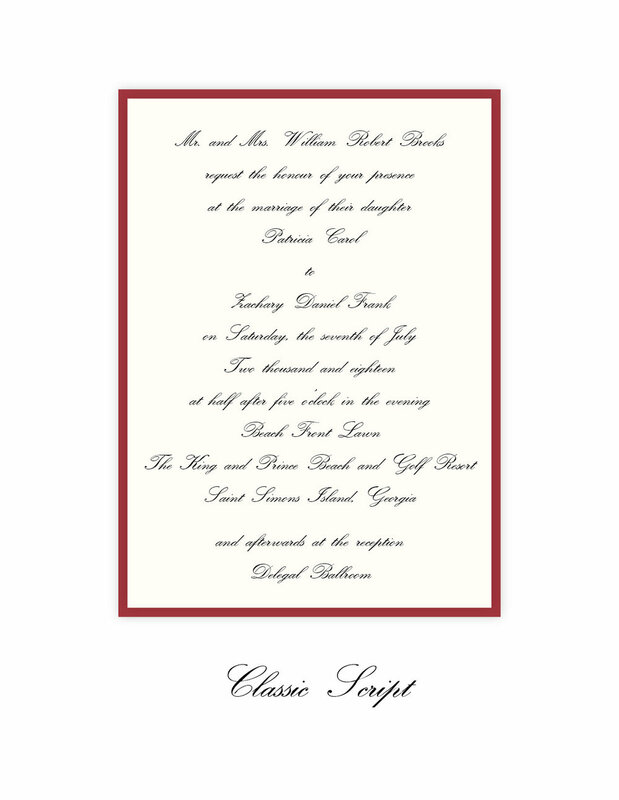 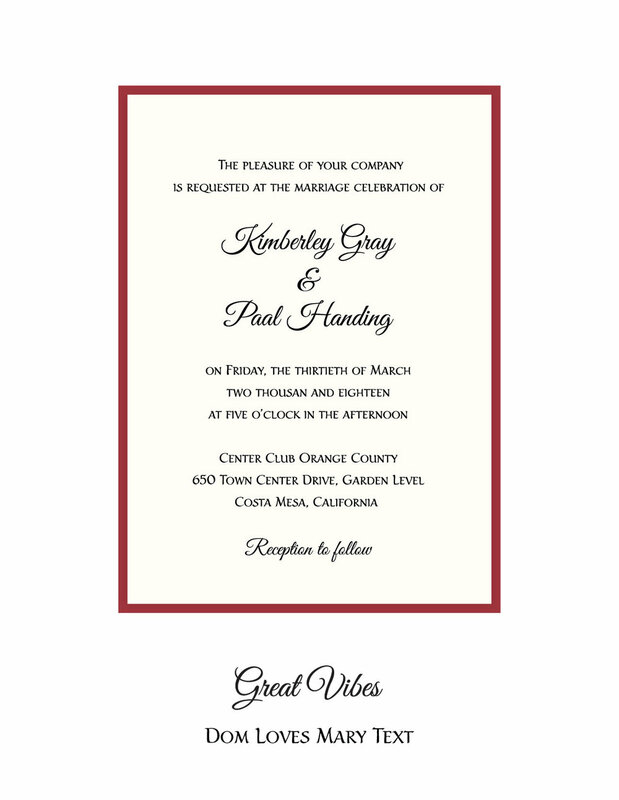 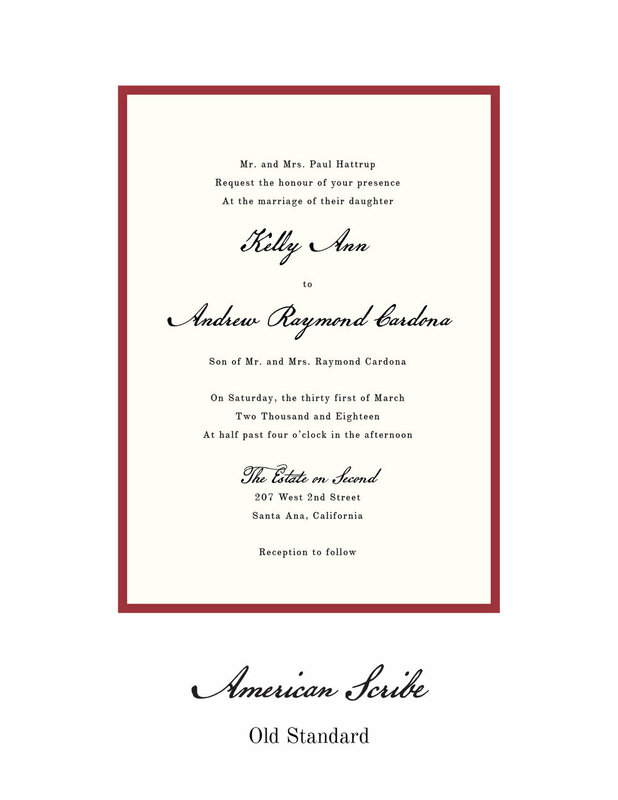 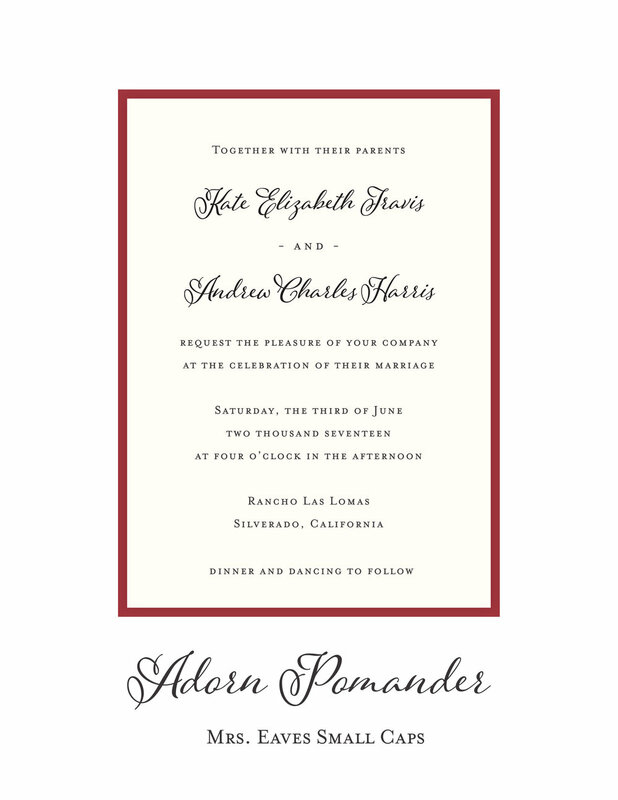 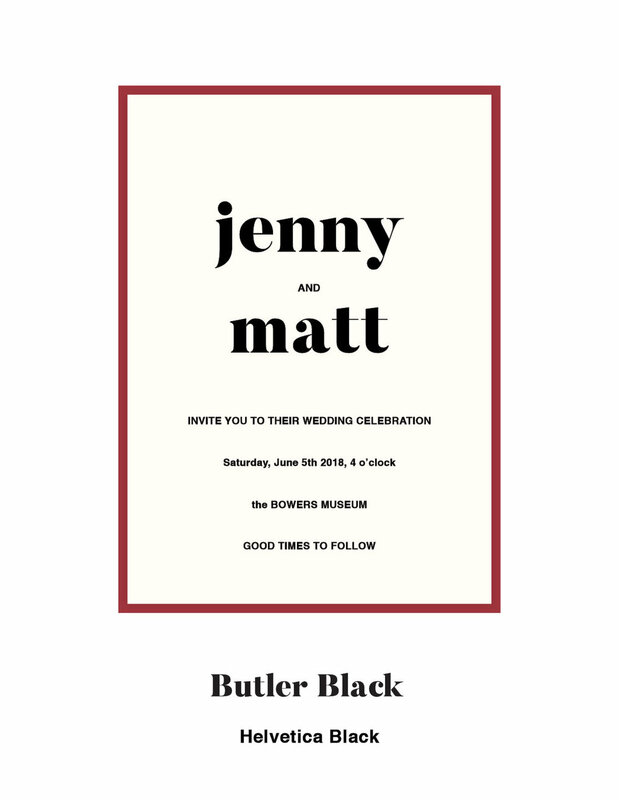 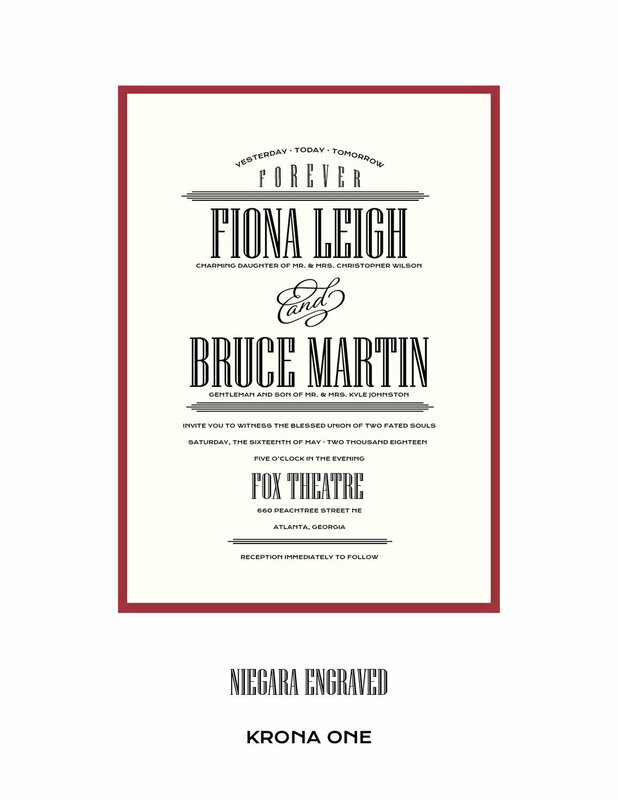 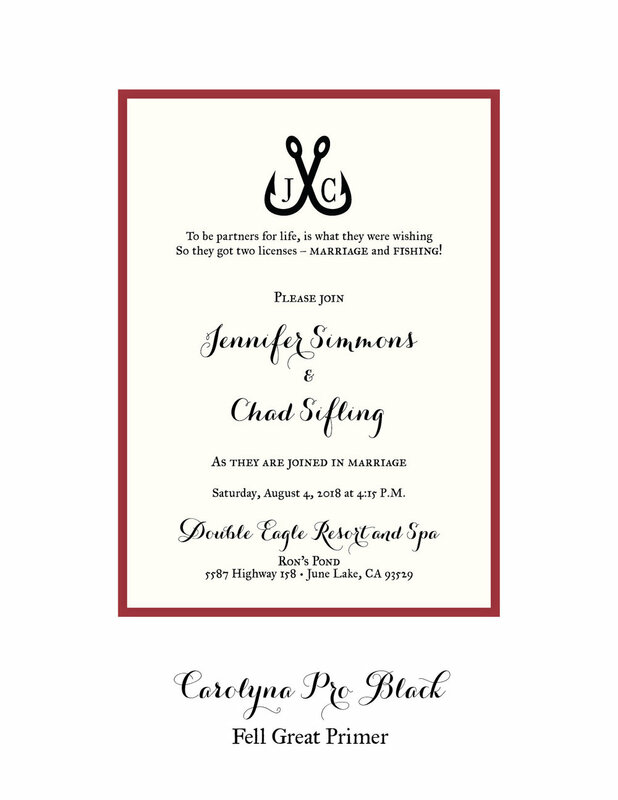 The right wedding typeface can set the tone the way your invitations look. 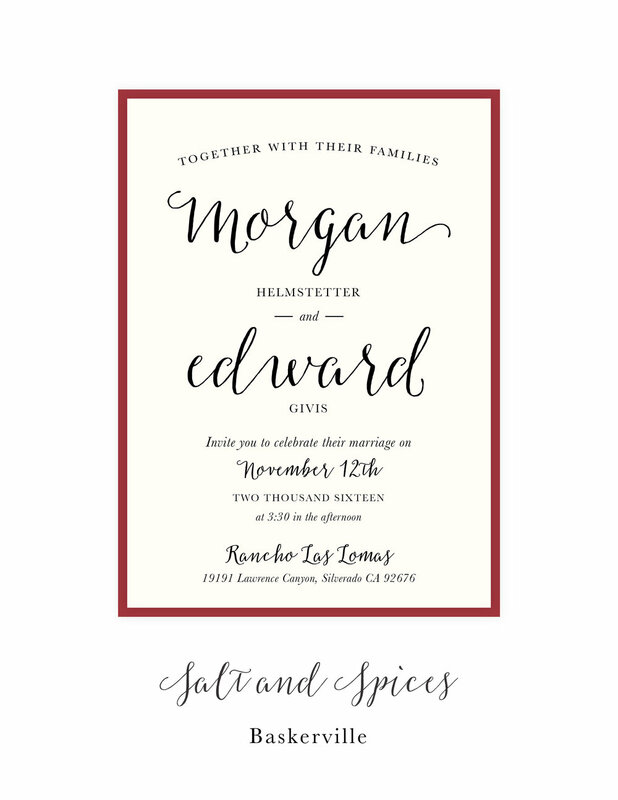 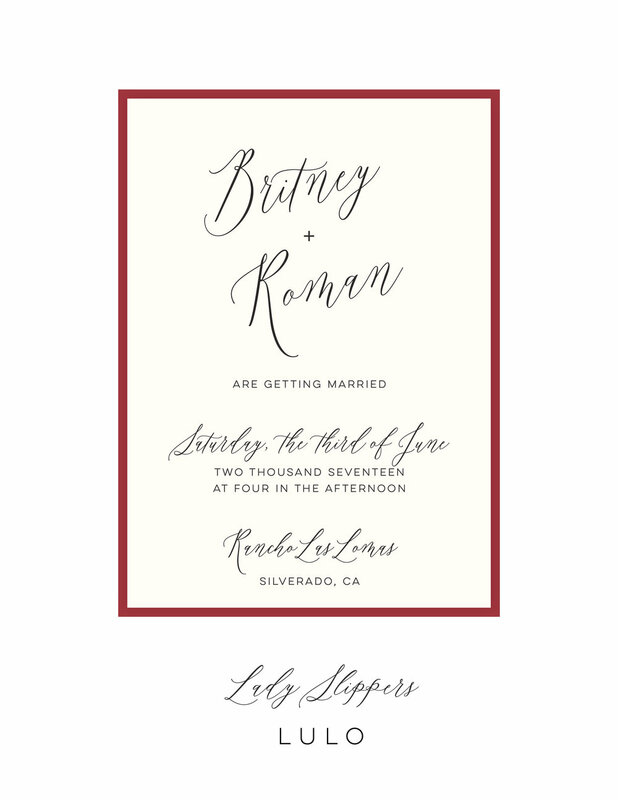 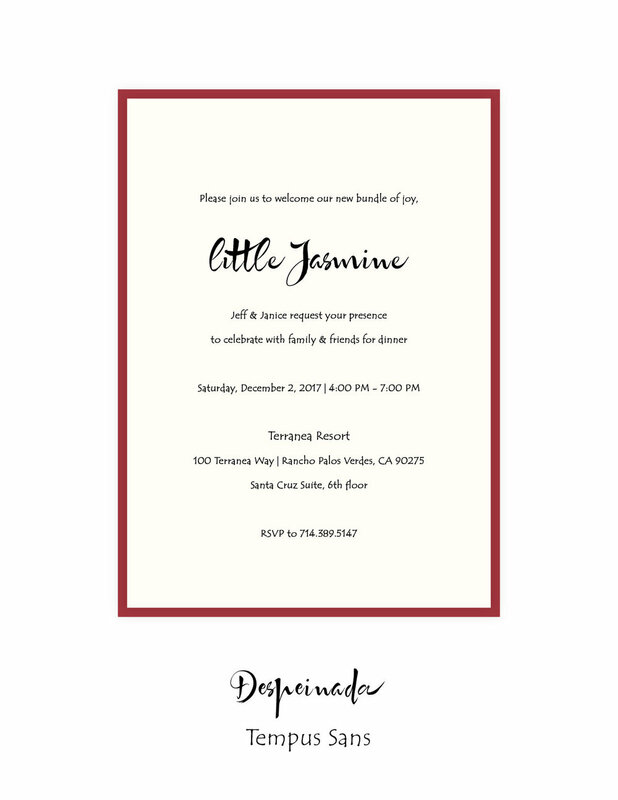 Because getting this right is so important, we paired some wedding fonts that match well and created these mockups for you to visualize how these fonts would look on an invite. 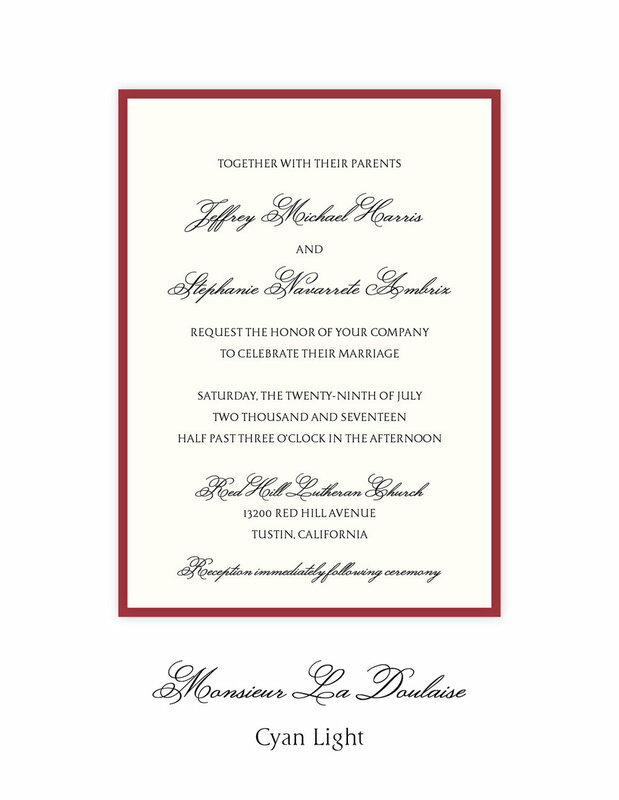 These are just some of the fonts we have so don't get discouraged if you don't like any of these. 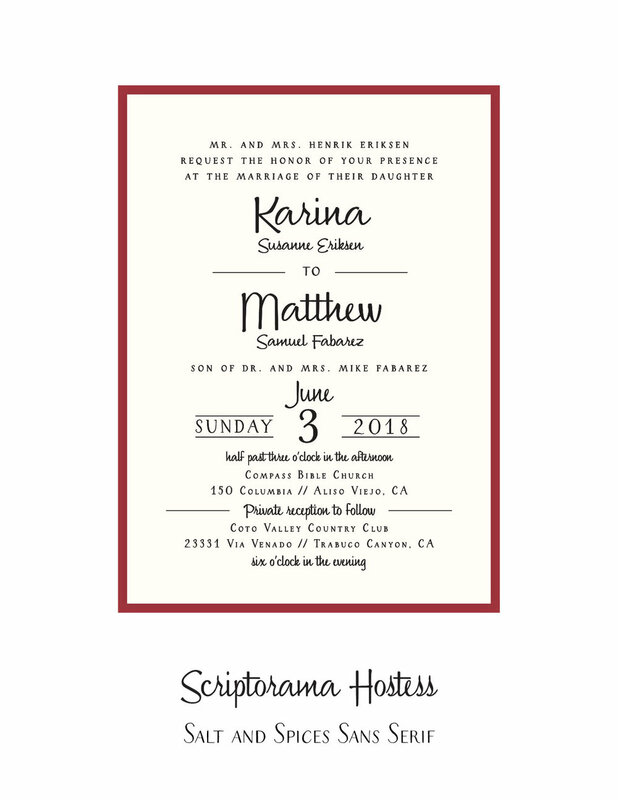 Hundreds of fonts are available and we would be happy to work with you to find the perfect one!